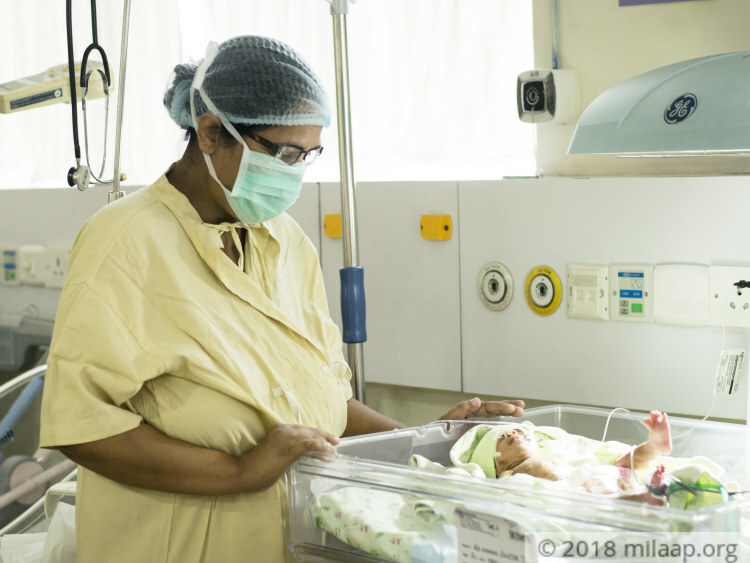 Shahin saw her twins for the first time through the glass of the incubator only one month after they were born. She was extremely weak after her surgery, and it was weeks before she could walk. When she did see them, she was shocked. Her babies were on ventilator support, extremely weak and fragile. 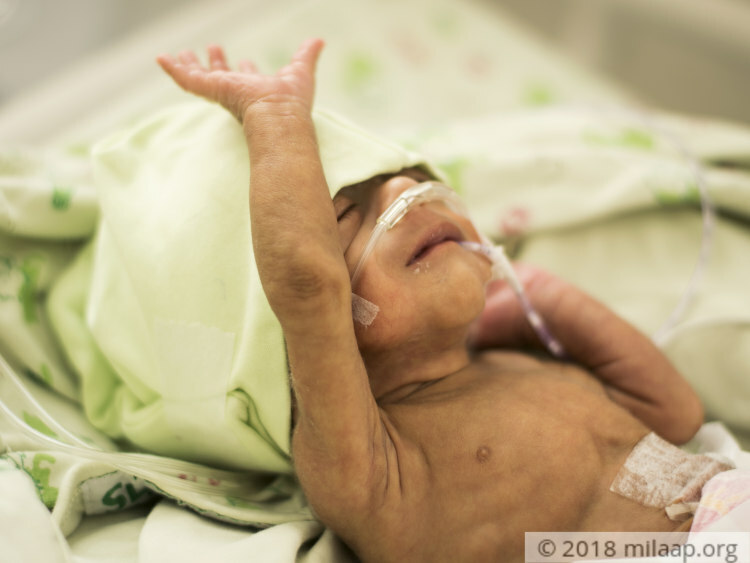 They’re barely the size of her arm, and without medical care, Shahin’s twins will not survive. 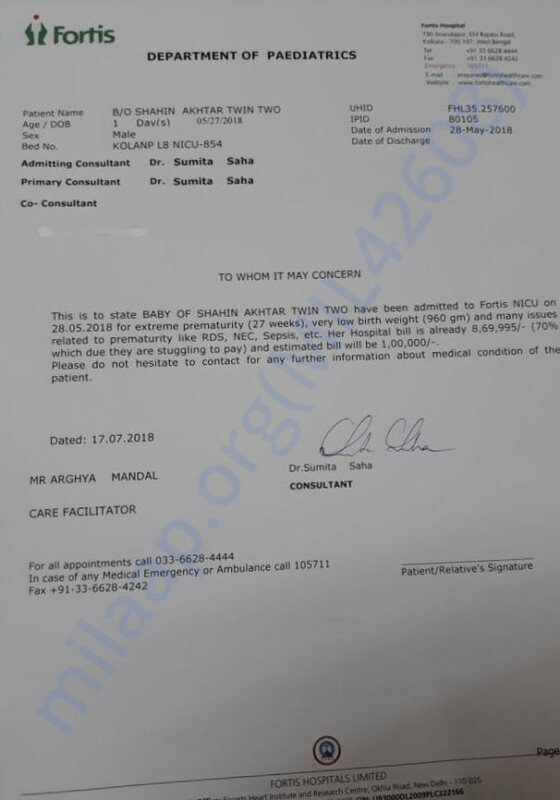 Shahin’s twin girl was 1080 grams when she was born, while her baby boy was 960 grams. 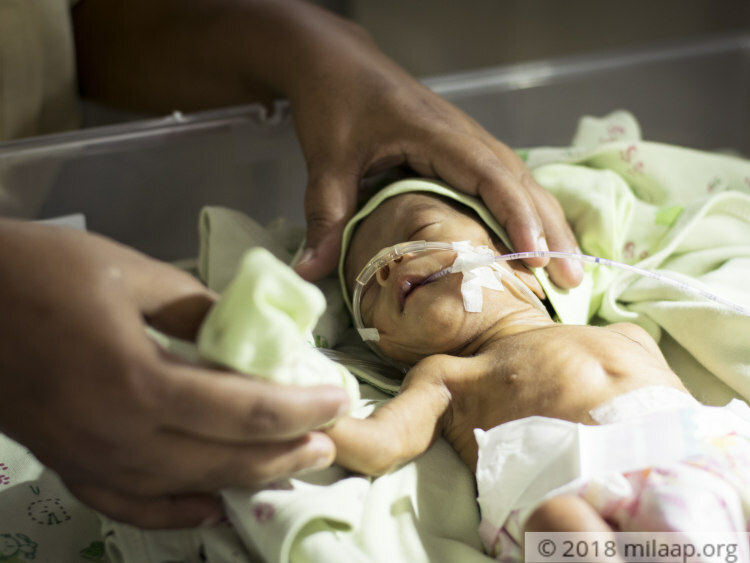 As they struggled to breathe when they were born, they were quickly rushed to the NICU and placed on ventilator support. Now, they can’t breathe or even feed on their own. Her baby boy also had a severe infection in his lungs and his condition worsened considerably before becoming stable again. Shahin’s husband, Shahid, works for a private company in Delhi and earns 20,000 per month. 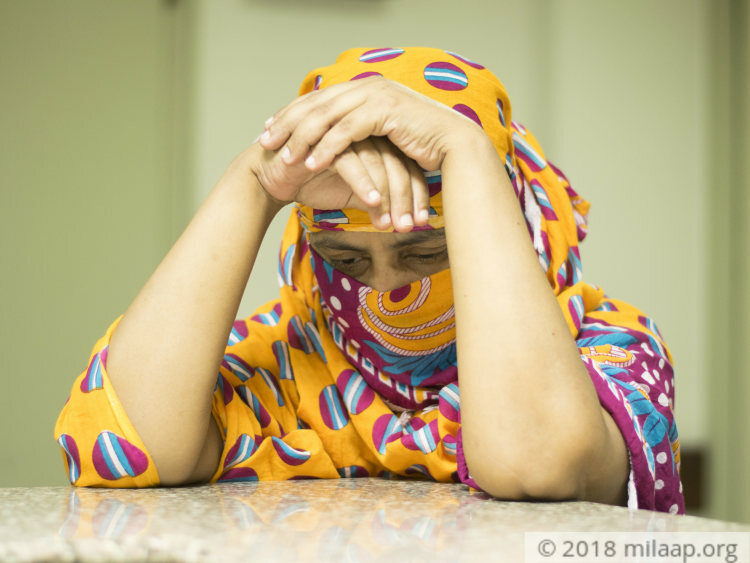 Due to mounting medical bills, Shahid was forced to leave his babies and wife behind to try and afford the treatment. Shahin is still weak from the surgery. She's not only extremely stressed about her babies’ survival, but she and her husband also need to worry about the amount needed for their recovery. 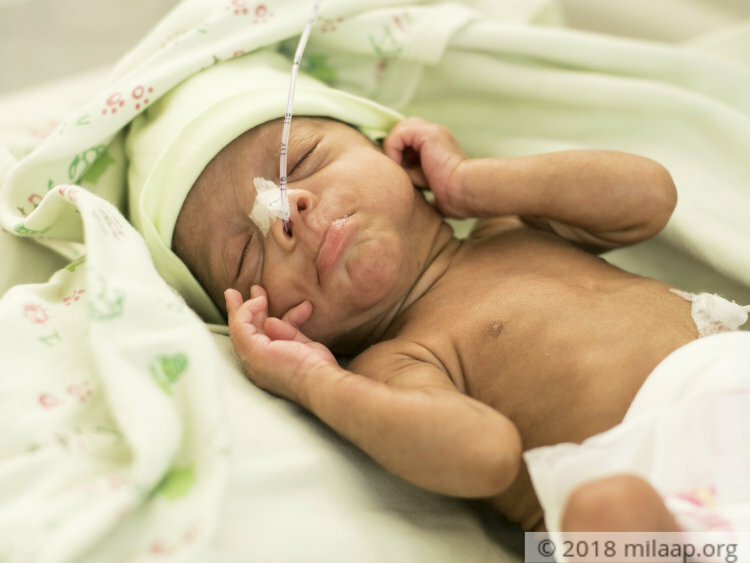 Her twins will only survive if they’re in the NICU for longer. Without this, the little ones won’t make it. Shahin needs your help to save her babies. 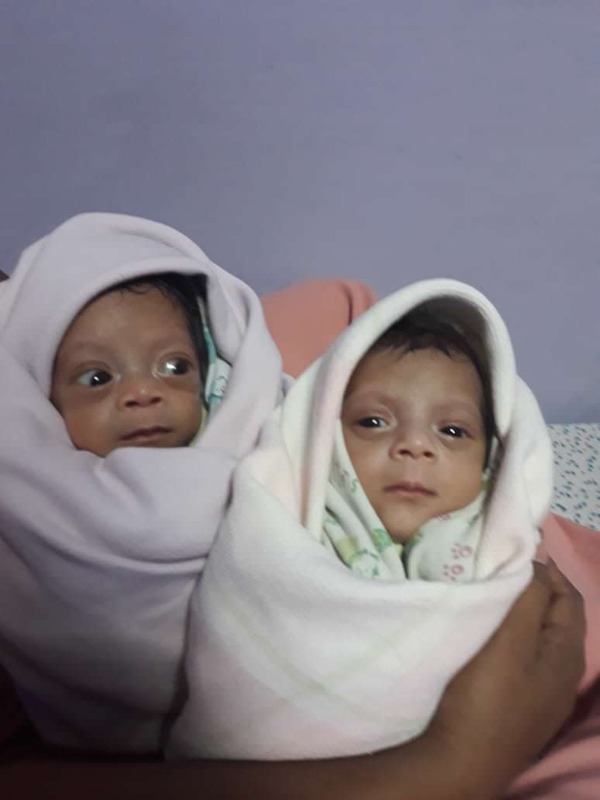 Your support will save Shahin’s 2-month-old twins. 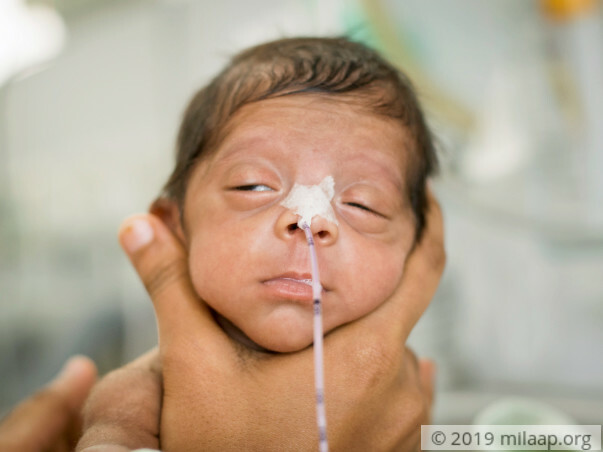 Click here to save Shahin's 2-month-old twin babies. We have some good news to share it with you today. Both the twin babies are now discharged and no longer need oxygen support. They are doing completely fine and there are no post-treatment complications. 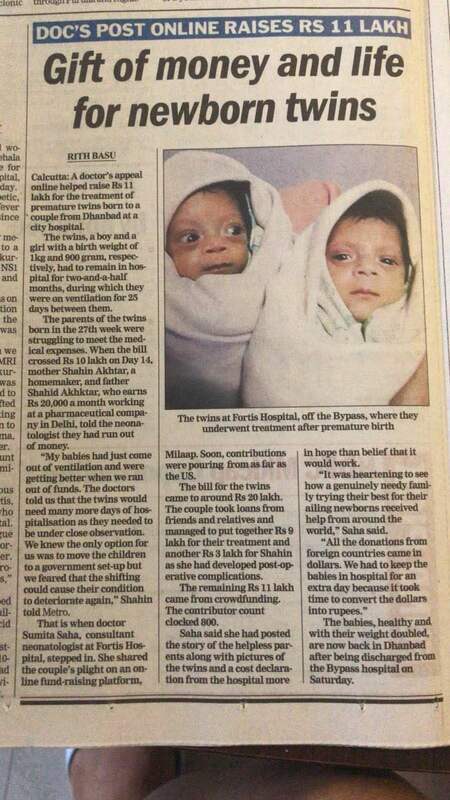 Thank you so much for the wonderful support you have shown towards the babies. Thank you for the wonderful support. 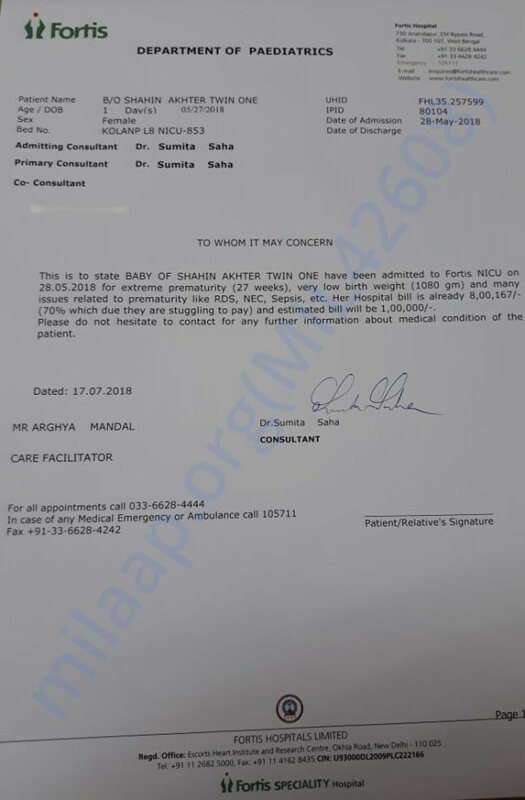 Here is a quick update on babies' health. They are waiting for a final check up for an eye doctor after which they will be discharged. Please pray for their health and speedy recovery. Thank you once again. Both the twins are improving , out of oxygen support. Still dependent on naso gastric tube feeding. Have gained sufficient weight. Hopefully will be ready to go home in the next 10 days , if everything goes well.